We multi-task and we expect everything around us to do the same. Our smartphone is our camera and we use our computer to watch our favorite movies. In our home our windows have to pull double duty too. Our sliding doors, picture windows, double hung versions all have to function for their specific purpose but they also have to help keep our homes warm in the winter and cool in the summer. That’s when the double panes serve double duty. What do we mean by double pane windows? Double pane windows can also be referred to as double glazed windows. They are two panes of glass filled with a gas or combination of gasses that are sealed into place creating insulation inside of a window. 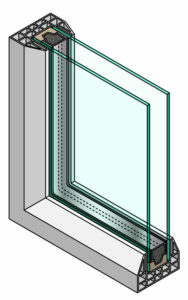 Triple pane windows add a third pane to the product. Typically in this area of the country, a double pane window is all that is necessary for your window to serve its double duty. Triple pane windows are used in colder climates. 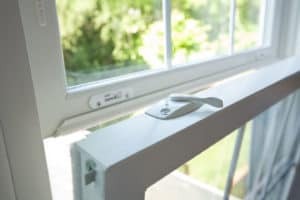 What are the benefits of double pane windows versus single pane windows? 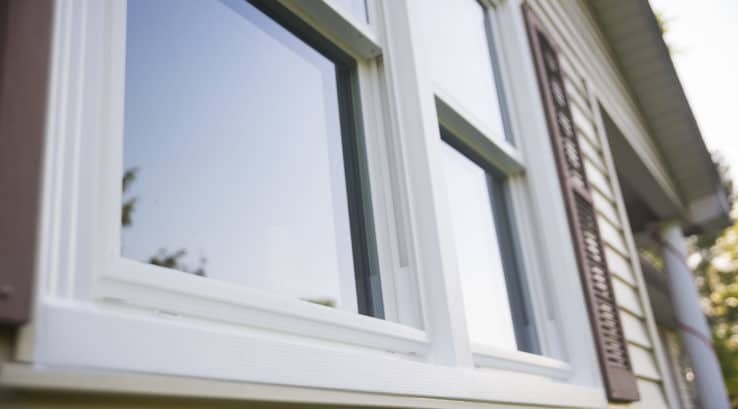 Energy Efficiency: On average homeowners who replace their single pane windows to double pane windows see an energy saving of anywhere from 5-25 percent depending on other energy efficiency factors in the home such as insulation and roof age. You can learn more about products that help with energy efficiency including double pane windows at energystar.gov. Consistency of Climate: double panes windows help keep draft out in the winter and filter the sun’s heat to help regulate the temperature in your home. That’s means less arm wrestling with the thermostat. Fade Factor: Don’t let the memories of your grandma’s couch fade away by the sun. Energy Star certified windows including double pane windows keep out the summer heat and harmful UV rays that can fade your fabric, like that irreplaceable pattern on your grandma’s sofa. Keeping Quiet: Double panes can help to soften the sound of your neighbor’s band practice. For every more Zen from the outside clatter, take a look at a Sound Shield glass package. Condensation Correction: Keeping the cold out and the warmth inside your home is a tough task in winter and sometimes as a result water will accumulate on your single pane windows as that head-on collision occurs. 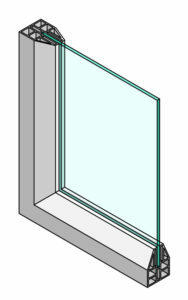 Double pane windows add that layer so the outdoor cold pane is separated from the inner warm one. Replacing your old single pane windows with new double pane products will help to modernize your home, cut your carbon emissions, save money on energy bills and increase your home’s value. The total investment in your home varies depending on materials, size of the window, the glass package, warranty and installation. At Thompson Creek our experts come to your home for a free quote so you get a custom proposal. And because of we design, build and sell and install our windows we know you are getting the right product for your home. We are so confident in it, we offer a No-Hassle Warranty and Buyer Protection Guarantee. Call Thompson Creek today for a no-obligation quote at 888-696-7105.